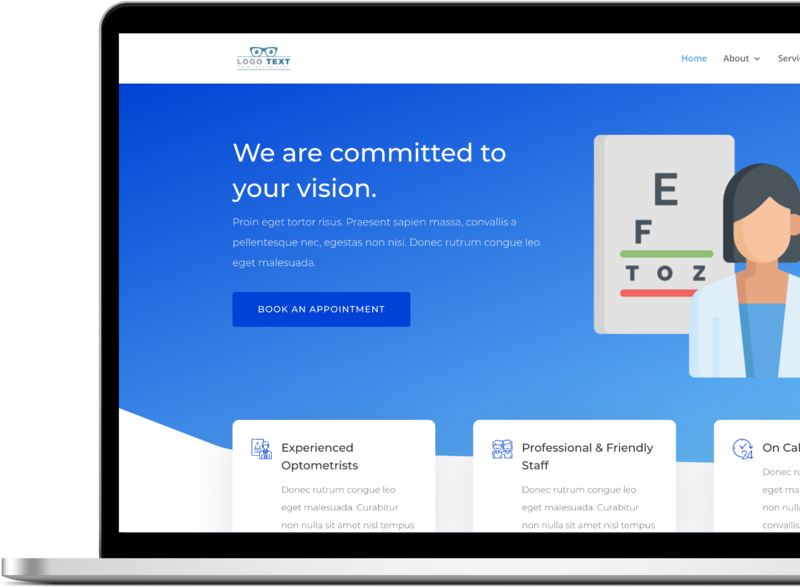 2020 Designs | We build modern, affordable websites for optometrists. We love the ’90s… except when it comes to web design. Our mobile-friendly sites will wow your customers on any device. No need to email for a quote — and no surprises. You’ll know from the start exactly how much your website will cost. Our unique web design process will save you time, headaches, and decisions. And you’ll have your new site in just two weeks. You’re probably aware of the standard “I need a new website” options: build your own site (who has time for that? ), or hire an expensive developer and deal with months of negotiating, tweaking, and editing. Makes you want to say “screw it” and just make a Facebook page, right? We get it. But… nobody trusts a business without a real website. So let us use our streamlined process to build your new digital home. With us, you know exactly what you’re getting, how much it’ll cost, and how long it will take. In a few weeks, you’ll have a beautiful, modern optometrist website that you and your customers will love. During our first call, we’ll discuss theme options, content transfer or creation, pricing, and monthly maintenance. Unless you’re a real chatterbox, it’ll take less than an hour. Don’t worry: we won’t leave you hanging. With our monthly maintenance package, you’ll get hosting, regular backups, site updates, and more. Once you’ve chosen your theme and given us all the information we need, you can rest easy. Did we mention your new site will be live in just two weeks? We’re not some ginormous development firm. We’re two people (hi!) who love helping optometrists build their web presence. We’re excited to get to know you and your business. Whether you want to create a new site or update an old one, we can help bring you and your business into the modern world. The last thing you want is a website that gets all wonky when accessed from a cell phone. All the sites we build look great on a phone, tablet, and desktop. Drop us a line -- we look forward to learning about your business.